Delicious Sapodillas are ready and available at the Rapid Creek, and probably other local food markets. Sapodilla, or Manilkara zapota, is a small brown rough skinned fruit resembling a (soft) small potato. It has a rich sugary malt like flavour and is from the Americas. It is grown in the Darwin region. Raw food seems to be all the rage, so here is a truly yummy recipe with a special locally grown fruit. I am sure you could also experiment with Black Sapote (a totally different species of yummy goopy fruit) and other fruits that catch your fancy with a similar texture. Place the base ingredients into the food processor and blitz until well combined. Using a flan tin, scoop out the mixture into the tin and press firmly until the mixture is tightly packed. Place into the fridge to set. Make sure all the seeds and skin is removed form the fruits, place all ingredient into a blender or food processor and puree until no lumps are present. Pour the mixture onto the base and pop it in the freezer until set. Dust with cocoa powder and serve. 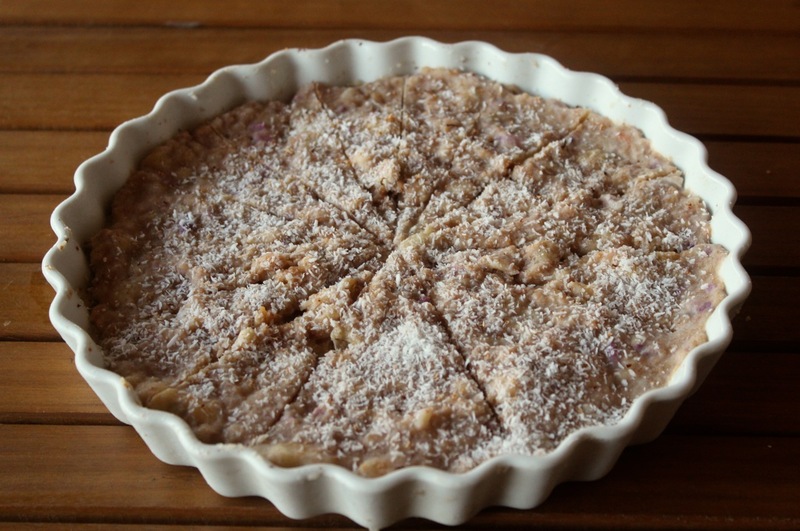 Download recipe here- Raw Sapadilla dessert recipe.